Ellen DeGeneres keeps flexing her many talents from comedy, tv host, furniture and decor, and now a new line on QVC. Last night, her home decor line with a few articles of apparel was debut on as part of their Countdown to Christmas promotion. 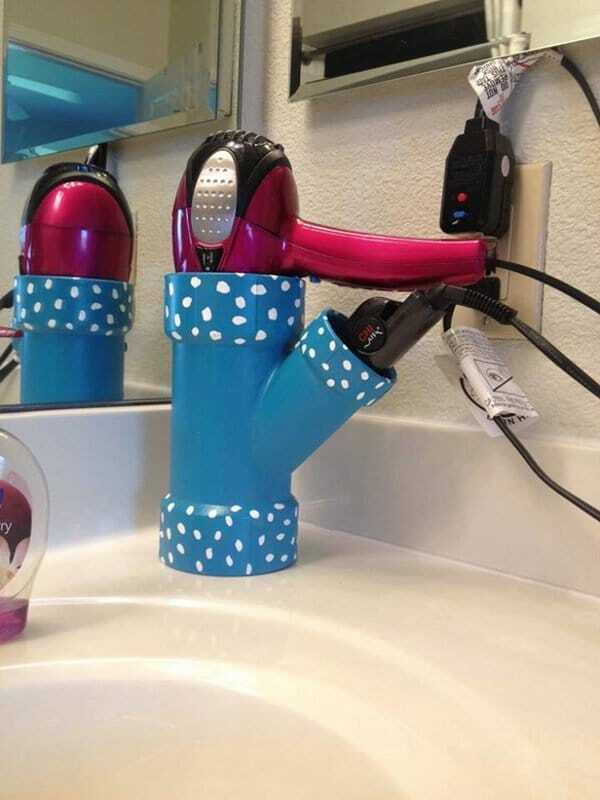 After seeing this on FaceBook, MarkdownMom found directions for this project at Pinterest This project will run you under $10 to make. Supplies : 3x3x2.PVC Pipe – Wye Shape. Spray paint (in color of your choice) plus other decorating supplies. MDM suggests add a weight at the bottom or, if attaching to a cabinet , 10 x 3/4wood screws . MarkdownMom Exclusive: SR Harris Designer Fabric Outlet Opens Store In Burnsville! SR Harris is known to crafters, fashion designers, and interior decorators alike as a premier outlet of fine fabrics. Located in the Twin Cities suburb of Brooklyn Park, they have expanded by opening another store in the Burnsville community–about 10 miles (13 minutes) SW of Mall of America at 3715 Hwy 13 with 15,500 sq. ft. of sheer imagination! Embroidered fabrics laden with swarovski crystals, real and faux fur, batiks, silks, quilting cottons, etc., and all the accoutrements to finish that special project. Plus get these fabulous fabrics at 60% off msrp. and always look for their special coupon deals! To be one of the first customers through their new store doors sometime this fall, follow them on Facebook! A new development in finding these objects is the rise of retailers to include these one-of-a-kind items for sale online. 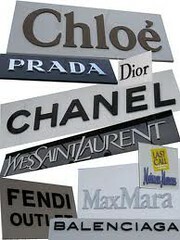 For example,, Haute Look, an outlet for Nordstrom, has new category labeled “Authentic Vintage Curiosities & Beyond.” Here you will find old shipping boxes with faded manufacturers names or advertising that lend themselves for storage & organization, colored bowling pins to keep stacks of books in line, or a french gymnast bar for your exercise room, just to name a few. Another retailer dedicated to a certain style, Napastyle, has a new spin-off Barn Door, advertised as a site for one-of-a- kind finds & deals, so you know you are dealing with limited supplies of any item. Napastyle first started bringing in collectibles from Europe a couple of years ago where there was a plentiful supply, and now this new site has expanded to include vintage, rare, deals, and even a “Final Markdown” category that span American eras such as early homestead, depression, to mid-century. Vintage tins, furniture, and home accessories such as scales and more are part of their inventory. You must know your antiques and collectibles to find a bargain, but these sites are good to find a particular item to complete your collection or for us bargain hunters, this is another reference point to find what is popular, or the retail prices of what we currently own. 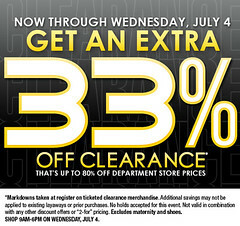 But did you know that for the larger deals shop the “Clearance” or “Sale” categories within these sites? Even discounters such as Groupon have a clearance section where the deals may only fit a select few, but they are tremendous. Also MarkdownMom recommends that you take advantage of further discounts by waiting for their additional promotional discounts or the Last Call Dash and Daily Deal at Neiman Marcus Last Call held at various times during the day. But MarkdownMom warns it’s important to know the lowest price offered by these sites since promotional discounts are sometimes taken on a previous higher price and not necessarily reflect the lowest price you could have bought this item. Pottery Barn has a super sale once a year and it’s happening now! Up to 75% off. 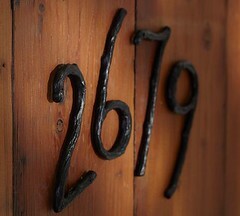 MarkdownMom found these terrific house numbers in burnished antique bronze with a branch motif, 8.5″-10.5″ high, reg. $14, on sale $9. MDM Says: Supplies and selections become very limited in short order so don’t wait long to shop!